We understand that there are many Murfreesboro Roofing Companies for you to choose from when replacing your roof. In order to earn your business, we are committed to providing you with a top quality roofing system backed by exceptional customer service. As a result, we know that you will be pleased with our roofing company and recommend us to your friends and neighbors! That’s why we do what we do! We are the top rated roofers on Google! Midsouth Construction Roofing Contractor, is locally owned and is a strong part of our community! 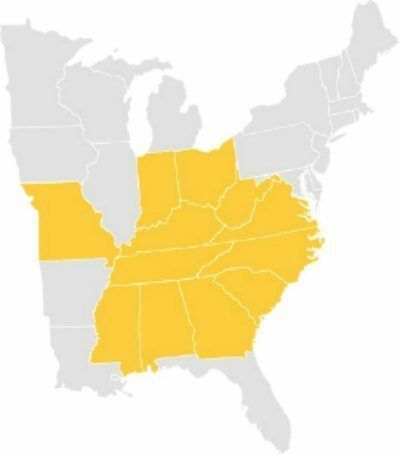 We service the entire middle Tennessee area including Murfreesboro, Christiana, Lascassas, Milton, Smyrna, and LaVergne! 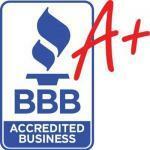 In addition to being your local roofing contractor, we are certified in ALL types of roofing. We can help you find the best roofing product for your specific needs and budget. Metal, shingles, tile, slate, or flat! When it comes to Murfreesboro Roofing, we’ve got you covered! No one knows commercial roofing in Murfreesboro better than MidSouth Construction Roofing! TPO, EPDM, BUR, Metal, or even elastomeric coatings! We are certified to inspect, replace, or install all types of commercial roof systems. We even hold the prestigious Carlisle, GenFlex, Mulehide, GAF and Versico certifications for commercial roofers! As a certified roofing contractor with all major roof manufacturers, we are qualified to provide FREE roof inspections. If your Murfreesboro TN home of business has been in the path of a hail storm, it is extremely important to have your roof inspected! We provide honest and accurate roof evaluations! Quite frankly, our motto is we don’t fix that needs to be replaced and we don’t replace what needs to be fixed! You can trust MidSouth Construction Roofing Contractors to give you an honest assessment of your roof and recommend the best solution for your roofing problem. Hail damage is very deceptive to the untrained eye and often goes unreported. This can be very costly because the Statute of Limitation for filing a claim may run out! It is common for hail damage to go unnoticed to the untrained eye until after the statue of limitations has passed. Hence, is it critical to always have an accurate roof inspection completed on your roofing system after a hail storm! We Are More Than Just a Murfreesboro Roofer! Midsouth Construction Roofing and General Contracting is a full service roofing company! We can handle all aspects of your restoration claim including roofing repair or replacement, window replacement, gutters, painting, staining, or siding. We provide both residential and commercial roofing solutions. We work with you to find the best solution to your specific roofing needs and budget. When it comes to roofing, we do it all! Shingles, slate, tile, metal, metal tiles, or flat! Our staff includes licensed public adjusters! No one know the roofing industry backed with a working knowledge of the insurance indstry better than us! Quite frankly, we are a unique roofer in this industry! Because of our unique staff, we can ensure that your storm damage will be fully restored with top quality materials and workmanship. Contact Us for a FREE Roof Inspection! Are You Are Risk? If your home or business was in the path of a hail storm we strongly advise you to have your roof inspected! Regardless of the size of the hail that may have impacted your roof, there is a strong possibility that you have damage. Consequently, all hail has the potential to shorten the life expectancy of your roof and cause long term problems. Most of all, unaddressed hail damage can even cause problems with the structure and soundness of your home. We speak the language of insurance and possess a working knowledge of roofing systems and general construction! We are here to help you with as much, or as little, assistance as you need. Insurance restoration work is our specialty and we can make the process as stress-free as possible and ensure that your home is fully restored with a quality roofing system that will provide years of protection for your home or business. For a FREE No Obligation Roof Inspection, contact our team of expert roofers today at 615-712-8893 or chat with us online! We sincerely appreciate your business!